Eagley is a self-sufficient band. Income comes largely from concerts and from successful contests. The Band also has a 200 club where each member of the band buys a number for £1 a month and has a chance of winning £5 or £20 at each monthly draw. Twice a year we have a super draw where you have the chance of winning £100!! If you would like to buy a number and become a friend of Eagley Band then please contact us. 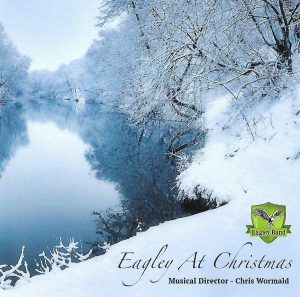 Our brand new Eagley Band Christmas CD has just gone on sale! It is the very first such seasonal CD recording in the band’s 168 year history and it goes without saying that we are very proud of it! 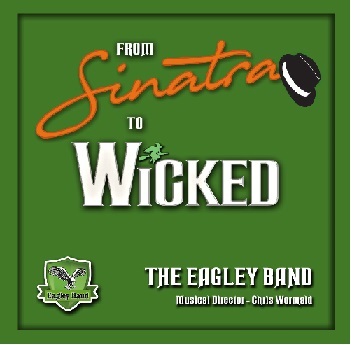 The tracks on “Eagley At Christmas” range from seasonal classics such as “A Christmas Fantasy” by Gordon Langford to much newer music such as “A Polar Express Suite” and “It’s Beginning To Look A Lot Like Christmas” made famous by Canadian star Michael Buble. There is a stunning, brand new Flugel Horn and Tenor Horn duet of “Silver Bells” played superbly by Janet Walsh and Deb Lyons and no Christmas CD would be complete without “Silent Night” and “Away In Manger” of course! Other tracks range from “Sleigh Ride” and “The Christmas Song” to Slade’s “Merry Christmas Everybody” and George Michael’s “Last Christmas.” There are many other tracks too, such as “O Little Town of Bethlehem” and “Mid Winter” plus a final bonus track, a reprise of Gordon Langford’s “A Christmas Fantasy” featuring special guests Smithills Community Choir alongside the band. “Eagley At Christmas” makes the perfect present to give to family and friends and is priced at a very reasonable £10. What music is featured on the CD? 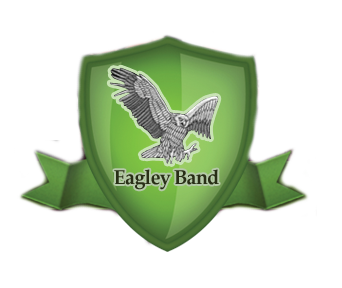 Eagley Band also have a Easyfundraising.org.uk page which is a easy way to support the band and best of all-it won’t cost you a penny!